The 82-year old hermit's deteriorating health has compelled the authorities to readmit him into the society. 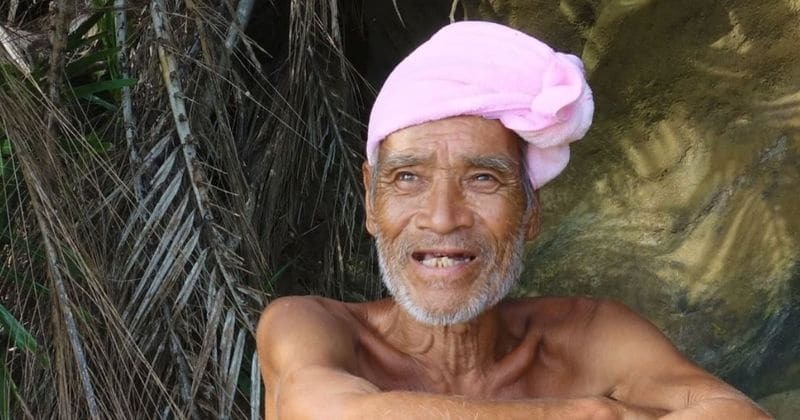 For almost 30 years now, Masafumi Nagasaki has been living on his own on an island. However, the authorities are have forbidden him from doing that owing to his declining health. Japanese authorities have forced Nagasaki, who is now 82, to return to civilization after he was found "unwell" on the kilometer-wide Sotobanari island - in Japan's tropical Okinawa prefecture and located closer to Taiwan than Tokyo - where he was the only occupant of the island. 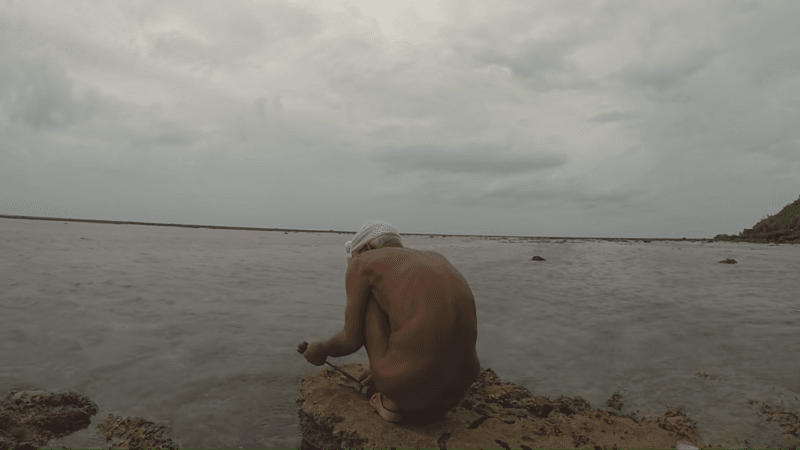 Since 1989, the 'naked hermit' has been living in solitude on the island and was discovered by a traveler who writes about castaway stories such as the one of the hermit. The island Nagasaki has been living on reportedly has no running water. According to Alvaro Cerezo, a writer, and a filmmaker, Nagasaki seemed dehydrated and was looking 'weak' when he was found by someone in a haggard condition. Cerezo stated to news.com.au that Nagasaki was not in his best shape and looked in need of help. Currently, the hermit has been shifted to a government house that is located 60 km away from the island in Ishigaki City, after the authorities were made aware of the situation. Cerezo says that the authorities won't allow Nagasaki to return to the island even after returning to normal health. Also that his island life is "over" and that he "probably only had the flu" when he was found. The castaway man's tale had first made headlines way back in 2012. He gave up his life in the metro back in the early nineties and set up a base on his own in the tiny island of Sotobanari. Nagasaki had been married previously and fathered two children before he left to the island for a life of isolation. Dangerous currents are most frequent around the kidney-shaped island. So much so that even the most seasoned of fishermen do not cast their nest for fishing in that region. Nagasaki has had an interesting past prior to renouncing his ties with the civilization. He used to work in the entertainment industry and was a well-respected photographer in his time. Not many people knew of his move of "retiring from society". "That's what I learned when I came here, and that's probably why I get by so well." he continued. Though he was alone, he had help from his sister, who used to send him $100 monthly. He would use these to get fresh water and staple food like rice cakes from a close-by village. He used to paddle to the village for a brief while until he had some clothes. He would boil the rice cakes for over four to five times on a regular day. According to Cerezo, he didn't spend more than two or three hours in the village. The 82-year-old hermit had developed a water system by using broken cooking pots. Those pots were used to catch rainwater which he used for bathing and shaving. Cerezo and his team wanted to know more about the hermit and why his story that led up to his life of solitude. So they spend 5 days with him in Sotobanari. During their time, Nagasaki had nothing to wear and neither did he have any possessions of his own since the typhoon had destroyed his camp. However, that did not discourage Nagasaki from living the life he intended to. “Wearing clothes here for me was completely out of place,” he said. "Walking around naked doesn't really fit in with normal society, but here on the island it feels right, it is like a uniform." Every day, Nagasaki would clean his camp, try to avoid insect bites, and spend time stretching in the sun. He wanted the island of Sotobanari to be his final resting place. "Finding a place to die is an important thing to do, and I've decided here is the place for me," he said. "It hadn't really occurred to me before how important it is to choose the place of your death, like whether it's in a hospital or at home with family by your side," he continued. "But to die here, surrounded by nature — you just can't beat it, can you?" Cerezo found that the 82-year-old lived in a tent and kept a wristwatch to maintain his highly strict schedule! A beautiful website was created by Cerezo as a tribute to Nagasaki and his unconventional lifestyle. We recommend that you check out a short film posted in its entirety on Docastaway - Desert Island Experiences, Cerezo's channel on YouTube.